In the Philippines, on the island Samar, is a town called Sulangan. 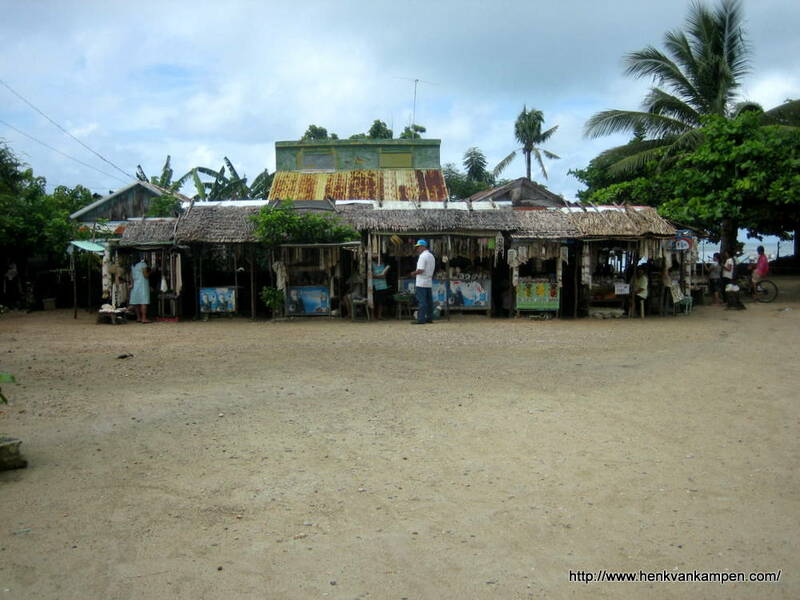 It is a small town on the extreme southeastern tip of Samar. The area is a popular destination for windsurfers. 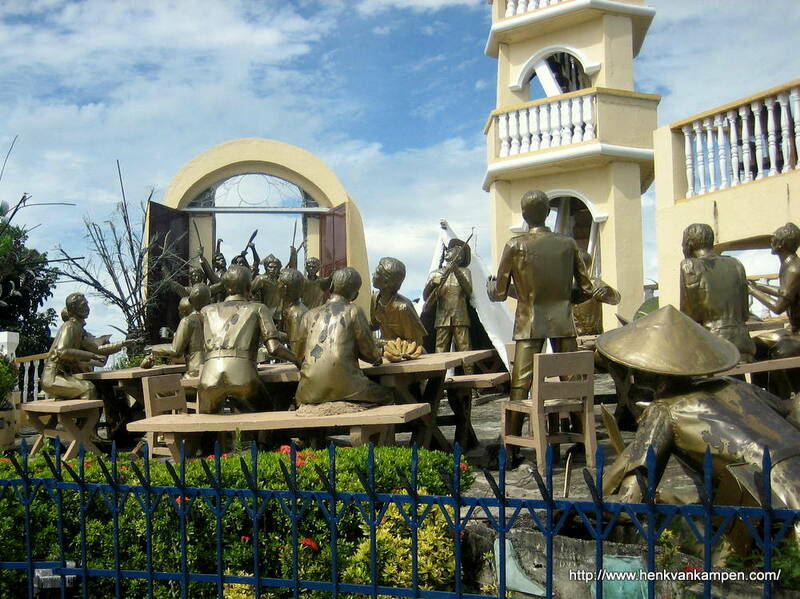 Sulangan is also the home of a shrine of San Antonio de Padua (Saint Anthony of Padua). St. Anthony (1195-1231) was a Franciscan friar from Portugal. He was a gifted speaker and famous preacher. St. Anthony spent most of his career in Italy. He was sickly, and died young, near Padua, Italy. It is said that, on his death, the children cried in the streets and all the bells of the churches rang of their own accord. 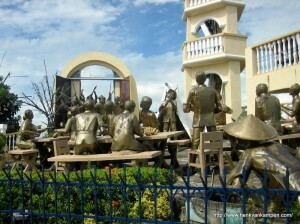 Apparently, the statue of San Antonio (St. Anthony) in Sulangan was actually meant for the nearby island Suluan, but several attempts to bring the statue failed: Each time, winds and rough sea would force the boat onto Sulangan. 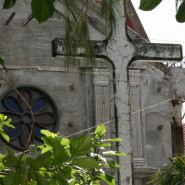 Eventually, a shrine was built in Sulangan to house the statue. 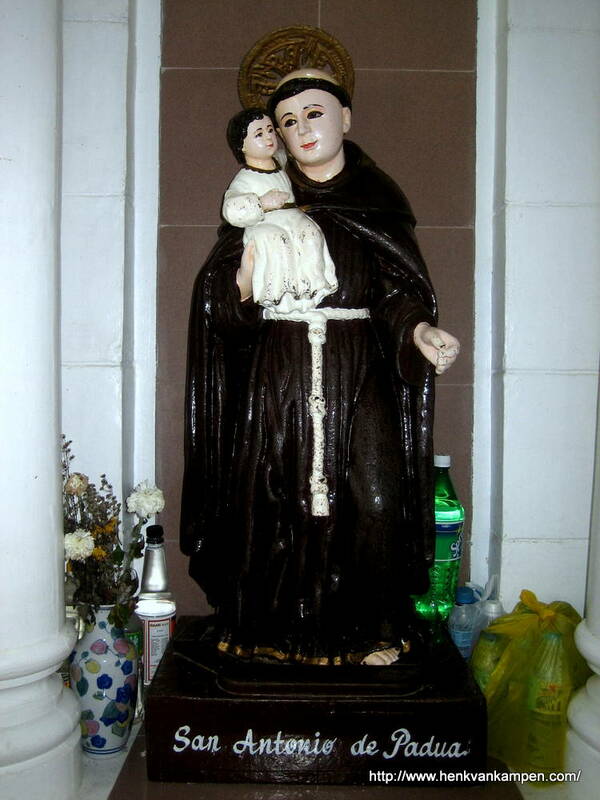 Several miracles and miraculous healings are attributed to this statue of St. Anthony. Pilgrims from all over the country flock to the shrine to pray to San Antonio, and to ask for his intercession. If their prayers are heard people often return to express their gratitude. 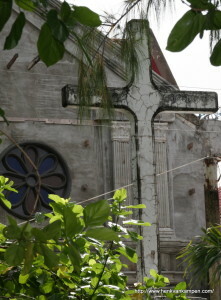 My wife has made the pilgrimage twice in the year before our wedding, from her home on the neighbouring island Leyte. A few months after our wedding, when we visited the Philippines, we went to Saint Anthony’s shrine together for our first joint pilgrimage. The road from our base in Tacloban City to Sulangan was long: To be in time for mass we had to leave just after 4 am. First we went to pick up a few family members who wanted to come with us, in other parts of the city. Then we crossed the 1.3 miles long San Juanico bridge into the neighboring island Samar, and we started our long drive over the badly maintained roads of Samar. Sulangan is in the municipality Guiuan, in the extreme southeastern tip of the island Samar. The area seems to be poor and sparsely populated. 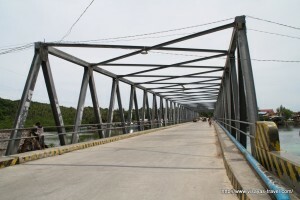 Sulangan itself is on a small island, just off the coast of the main island, and can be reached by a bridge. When we arrived we first visited the office, where my companions requested (and paid for) their prayers, and changed money into small coins. We still had time to wander around to take a few photos, and buy a statuette of St Anthony at one of the souvenir stalls. Then we went inside the church. Inside are many statues of saints, each with their own trunk. It is the custom here to visit each saint, say a prayer, and put a coin in his (or her) trunk, taking care not to offend any saint by bypassing him. My wife, a devout catholic, made the round along all the saints, while I, from protestant stock, had a look around the church and took a few photos. The mass started with the reading of the list of sponsors of the mass – people asking for St Anthony’s intercession or expressing gratitude for an earlier intercession, and who were paying for the privilege. The mass itself was in Waray-Waray, the local dialect, so I missed most of what was said and done. After the mass we shook a few hands (there were several people my wife recognized, that also made the pilgrimage the same day), and my wife went looking for the priest to have our St Anthony statuette blessed. The church had become too small to house all pilgrims, and building works were on their way to extend the church. 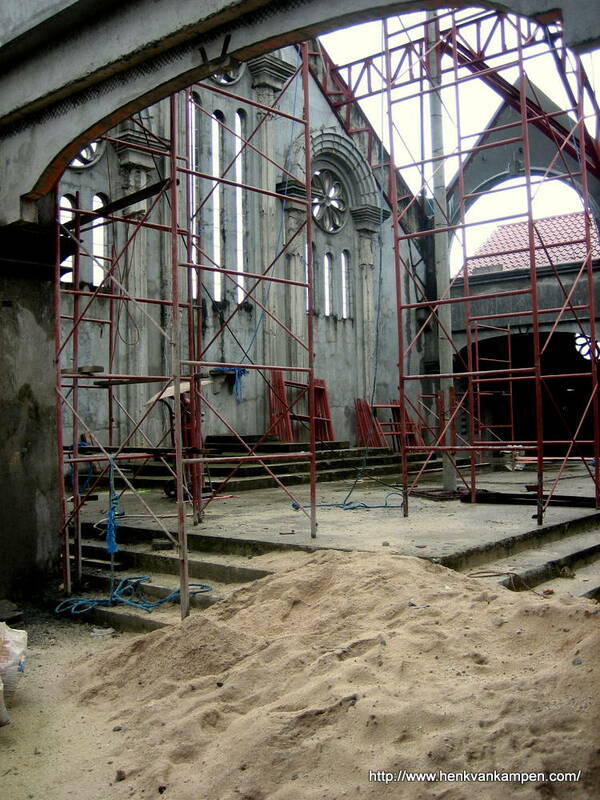 (We saw the new church – not yet finished but already in use – on a later trip to Sulangan). On our way back to Tacloban City we made a small detour to visit Balangiga, a village near Sulangan and the site of a famous battle during the Philippine-American war. On the long trip home, passed several resorts, and stopped at two of them for lunch and drinks. And we visited a third resort, just to have a look and take a couple of photos. Interested? Read the story and look at the photos in Three Resorts. Sulangan, Balangiga, Villa Calicoan, and The Surf Camp are in the municipality Guiuan, province Eastern Samar, at the extreme southern tip of the island Samar. Caluwayan Palm Island Resort is in the municipality Marabut, province Samar. If you just want to see Sulangan and/or Balangiga, then a day trip from Tacloban City is probably the easiest way. Tacloban has daily flights to Manila and Cebu, and proper hotels. 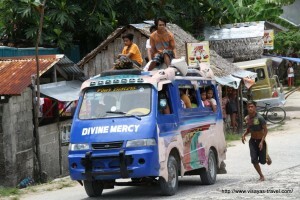 It is possible to travel by public transport, but I would not recommend it: Jeepneys and vans are uncomfortable and crowded, the roads in Samar are bad, and it’s a long trip. 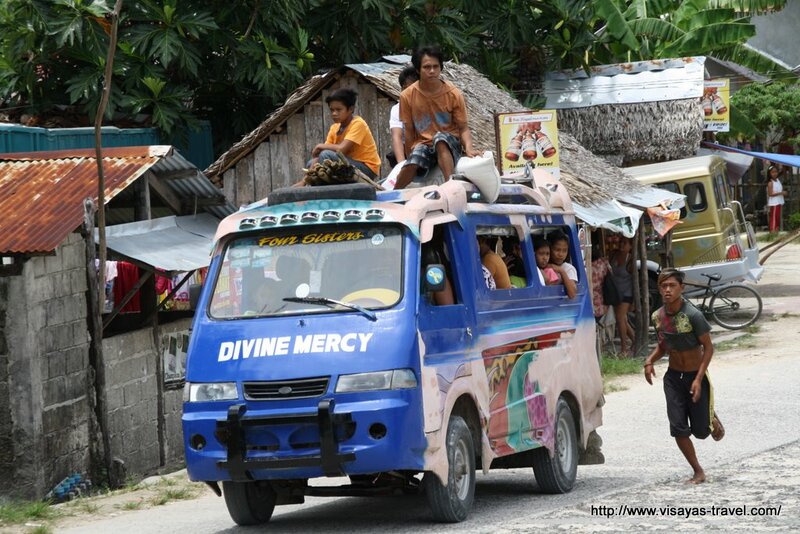 Furthermore, there is no time table: You never know when the next van back to Tacloban will arrive. You are better off renting a car, preferably with driver. If you have relatives in Tacloban, they will no doubt advise you about a suitable driver, otherwise head to the tourist office for advice. If you plan to stay at one of the resorts, you will also travel via Tacloban City. Your resort can arrange a transfer from Tacloban City airport to the resort. There are several resorts on the southern tip of Samar, but I have no personal experience with them – except what I mentioned above. The lunch we had at Villa Calicoan was good enough but not terrific, and as far as I could see it was a decent, clean an well-maintained resort (but I have not been inside to take a look). I would probably go there if I needed a place to stay. The neighbouring Surf Camp is too expensive for my taste, but if you want something more exclusive then The Surf Camp is probably the place to go. 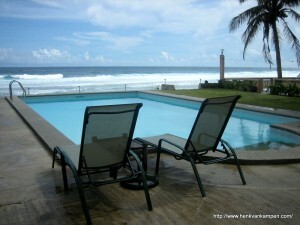 And compared to prices at European and American resorts and hotels, maybe the Surf Camp is not that expensive after all. 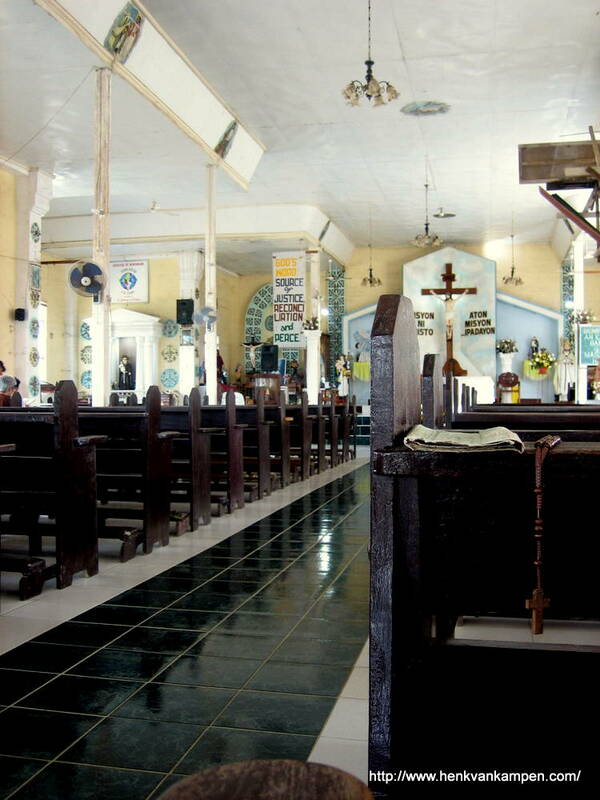 The area has a few old churches and historical sites (like Balangiga mentioned above), and there is some natural beauty to admire, but most people come here for only one thing: Windsurfing. If that’s not your thing, you’re probably better off going elsewhere (or just visit on a day trip, like we did). Building the new church. During a later visit we found out is was already in use, though not yet finished.